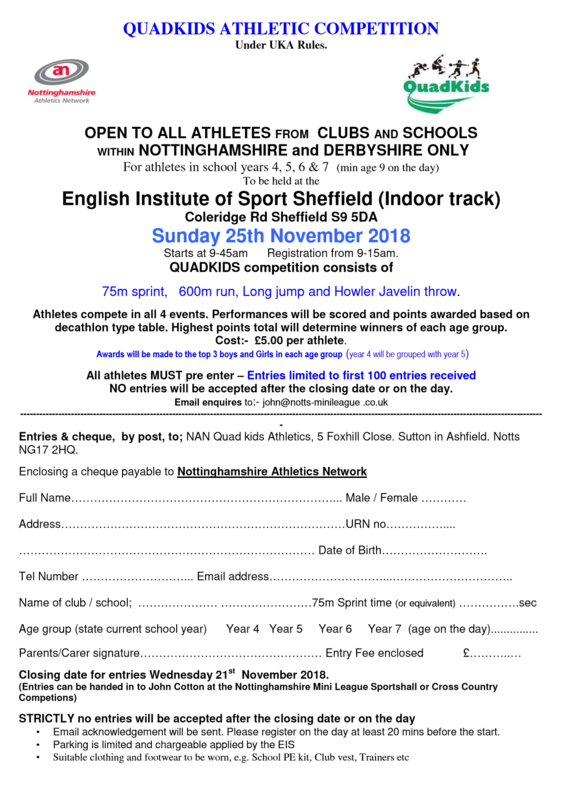 Please see details of the upcoming Quadkids and Open Graded competitions being held at the EIS in Sheffield on Sunday 25th November 2018. 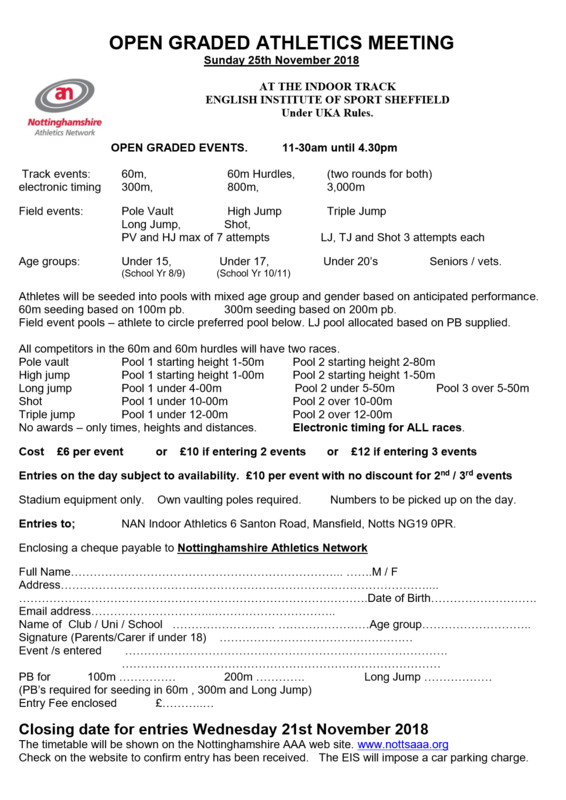 The Quadkids competition is restricted to athletes from clubs and schools in Nottinghamshire and Derbyshire. Age groups are school years 4,5,6 and 7. Entries will be limited to a maximum of 100 based on first come first served. The Open Graded competition will be held in the afternoon. Athletes compete in races / pools against athletes of similar ability and not by age group or gender. 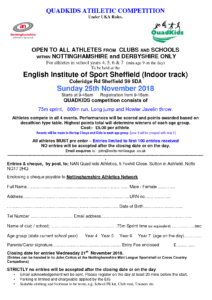 Events are open to ALL age groups. 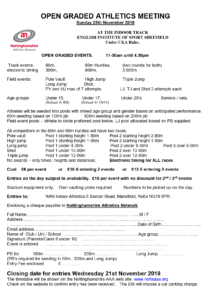 This is NOT an elite only event – all abilities are catered for. Electronic timing will be in operation.